I've always had problems dumping the cassette tank into the small hole at the dump station. 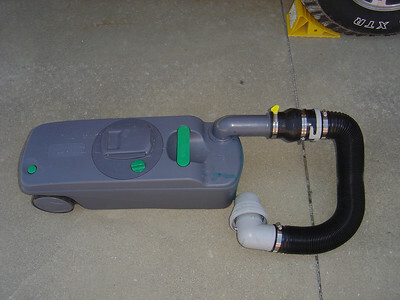 This connection allows me to use the large hose that I use to dump gray water. 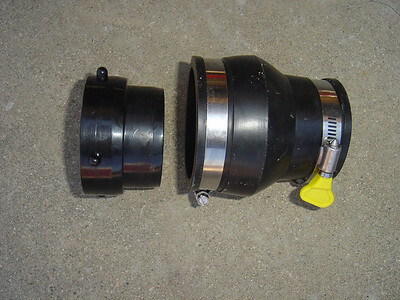 The adapter that attaches to the black water tank is a 3 by 2 inch adapter. I use a clamp with a large thumb screw so it is easy to loosen and thighten. 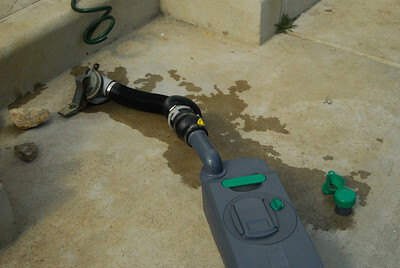 The discharge hose and cassette at the CG wastewater drain.